I led this project for the Swedish Agency For Marine and Water Management to map the landscape of marine education programs in Sweden, and to survey the need among practitioners for materials and support to strengthen marine education in Sweden. The final report (in Swedish) can be found here. The Inquiry to Student Environmental Action (I2SEA) project offers curricular tools on environmental topics — especially climate change and ocean acidification — in the context of interaction across borders. The I2SEA project provides engaging resources to teach students about climate change and ocean acidifications, and empowers them to take action to address these growing, worldwide challenges. In this project, I co-authored the successful proposals, created and supervised the project team, designed the online learning resources, and work with students and teachers to implement the teaching materials and run the research. Sea Change is an European Union H2020 funded project that aims to establish a fundamental “Sea Change” in the way European citizens view their relationship with the sea, by empowering them, as Ocean Literate citizens, to take direct and sustainable action towards a healthy ocean, healthy communities and a healthy planet. By using the concept of Ocean Literacy, Sea Change supports European citizens to create a deeper understanding of how their health depends on the health of our seas and ocean. creating teaching materials such as eBooks on harmful algal blooms. developing outreach activities such as an online game design competition for young coders to raise awareness of marine issues. holding consultation workshops for education stakeholders to gain deeper insight into the perceived barriers and solutions to teaching teenagers (12-19 years of age) about the ocean. developing the concept of Blue Schools to link the ocean to the curriculum. I was the Swedish National Leader in the Sea for Society project. 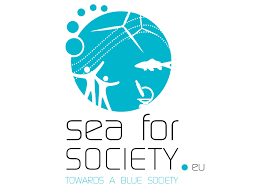 Sea for Society was a European Commission-funded project that engaged stakeholders, the public, and youth in open and participatory dialogue to share knowledge, forge partnerships and promote action on societal issues related to Ocean Literacy.